During FestQ two full days of panel discussion will take place at The Storey, in Lancaster's city centre, on Saturday 6th and Saturday 20th February. 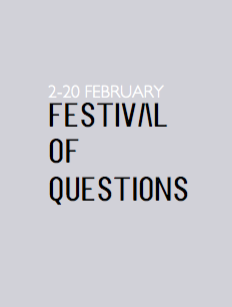 Offering viewpoints from marginalized perspectives as well as the mainstream, with speakers from across the political spectrum, these 'Days of Questions' seek to explore the cultural, social and political climate of our time. w/ Caustic Coastal, Collective Artivation, East Street Arts, (It’s All) Tropical & The Royal Standard. FestQ FRINGE:What roles can cinema play in post-conflict societies?